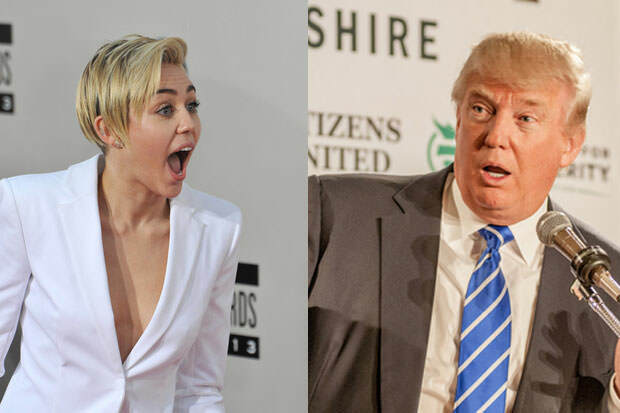 Miley Cyrus has publicly expressed her opinion on GOP presidential candidate and real estate mogul Donald Trump. We’re already used to Miley shocking the world nearly every single day, but celebrity gossip news becomes much spicier when celebrities mix with politicians. Namely, she announced that she would leave the country if Donald Trump were to win the presidential elections, calling him some pretty nasty names. What’s more, Cyrus isn’t the only celebrity who said they would leave the US if Trump is elected. House of Cards actress Neve Campbell, a supporter of Democratic presidential candidate Sen. Bernie Sanders, also mentioned earlier this week that she would move “back to Canada” under President Trump. Apart from her, Eddie Griffin, Cher, Samuel L. Jackson, Katie Hopkins and Jon Stewart have all openly said that they would rather move than be led by a man such as Trump. ← Previous Story O.J. Simpson’s Murder Weapon Found?